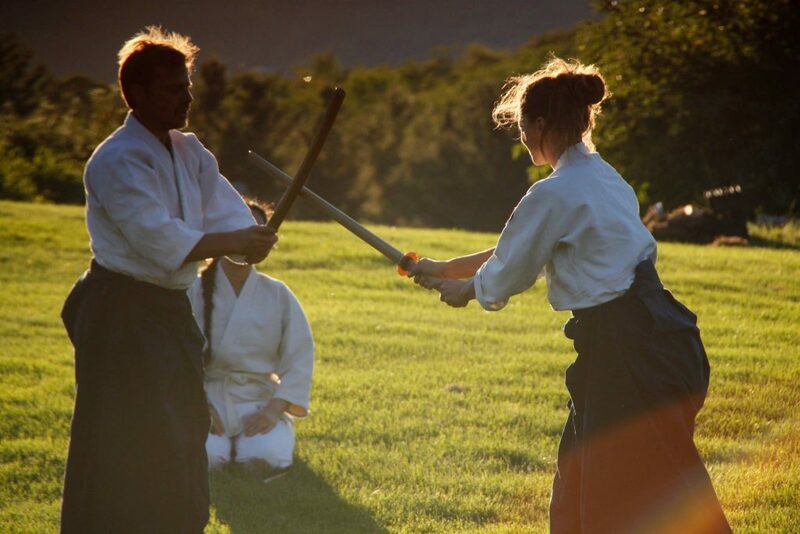 Located in the heart of Vermont on a flower farm overlooking the Northfield Mountain Range, we teach the traditional Japanese martial art of Aikido. Aikido is a circular, flowing and aerobic martial art that emphasizes throwing, pinning and joint lock techniques rather than strikes and kicks. Conditioning practice cultivates flexibility, core power and the development of internal energy, or ki. Weapons practice includes wooden sword, staff and knife. Breathing exercises promote relaxation and grace under pressure. We teach both the effective martial techniques and the meditative and internal aspects of Aikido.